​Nova Sporting Clays (NSC) has been active for more than 20 years. Originally located in Shortt's Lake, Nova Scotia, Canada, the facility relocated to a new site near Gay's River, Nova Scotia in 2009. 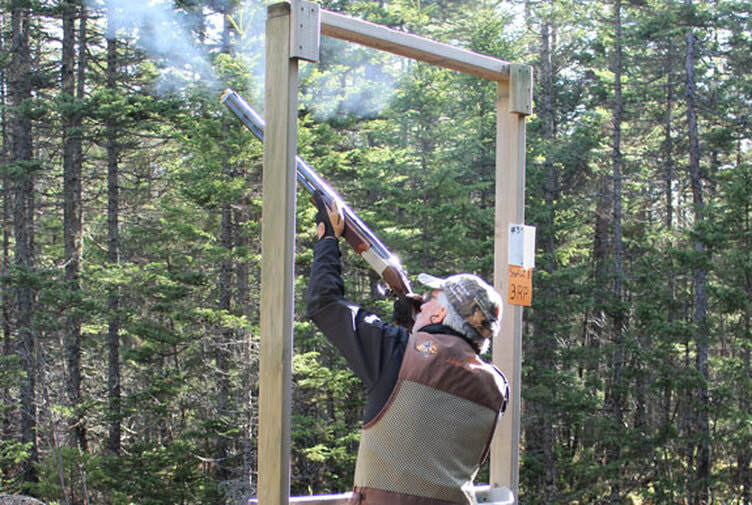 As a shooting club dedicated solely to Sporting Clays, the owners are focused on providing Atlantic Canada's rapidly growing sporting clays community with a state-of-the-art shooting course. The target presentations are regularly changed to provide the club's members and guests with diverse and challenging stations utilizing fully automated machines. Are you new to the sport or maybe trying to ratchet up your skill level? The Club regularly brings in recognized shooting coaches and instructors to help our members and all shooters in the Maritimes with improving their shooting skills. We are open all year round on Sundays and from May through September on Thursdays as well. All shooters are welcome so please drop by and check us out! New to shooting and would like to give it a try? Try our introductory course!